Housing exhibition, and asset management and maintenance exhibition. From privacy to procurement to lone working safety to broadband for assisted living! Today (2017/09/19) I have come to visit the housing exhibition along with about 1000 others. It has an interesting mix of vendors offering services for all sorts of aspects of the housing business, especially social housing. Notes from the exhibitions at the ICC in Birmingham. I was steered here by our friends at HACT (thank you MK and Jay!) and my it has been a fascinating day. In particular I came hunting for ideas and strategies for OpenTRV's EGC project. I had a number of unexpected opportunities present themselves! Do you have staff that need to go out on their own to deal with the public? Do you have the appropriate policies in place, and do you follow them? How quickly would you notice if something went wrong? While installing equipment for OpenTRV trials we have had to work this out, and borrowed some best practice from a friendly partner company, but I'm sure that we could do better. 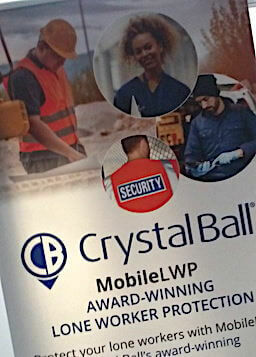 At a few quid per month per user for Crystal Ball lone-worker protection, which is an app on each worker's phone, your get an alarm (local and remote) that goes off if the visit takes too long, and indeed a panic button too. Simple, but exactly the sort of mechanism we were aiming for. This is a service that I would seriously consider as an alternative to strengthen our current ad hoc solution. Eccella fixes this sort of thing (yes, in the housing sector) so often that it actually became easier to build new systems from scratch that do the main job and talk to the market-leading products too. When I asked the Eccella people at the stand to give me a pithy description of what they actually do, they said "data plumbing." So true: IT is never a "Simple Matter of Coding". It's often a combination of insightful high-level design to make it possible to succeed at all, and an equally-important nightmare of low-level detail that absolutely has to be got right. If you don't remember to bring water and gas into the house then you aren't going to have working radiators. And if you mix the copper pipes up anywhere in the property, also sadness! It happens, at an IT level and the bad plumbing. 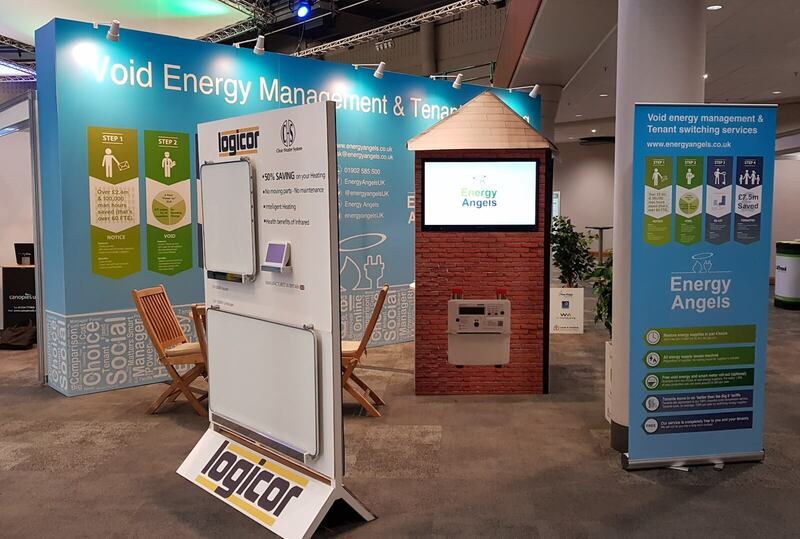 As I came into the exhibition hall there was the stand of OpenTRV's old friend Switchee, making smart connected thermostats to help fight fuel poverty. Launching at the show, in a similar market space to Switchee, was Beanbag. OpenTRV's top goal/KPI is cutting carbon emissions. Second is improving health by cutting fuel poverty. Here are two solutions with a prospect of helping on one or both fronts, which is all good news. 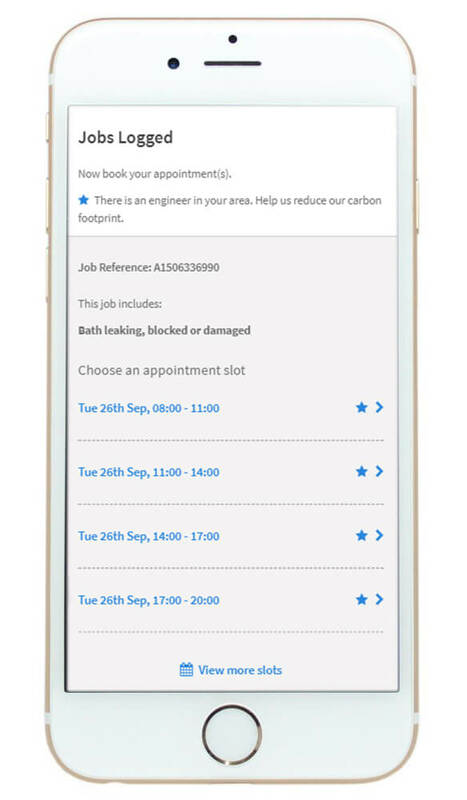 What about making sure that you have utilities available during any refurb works without effectively making the exiting or new tenants cover it? Typically this might happen to 10% of your properties in a year. So it is not something best dealt with as a one-off surprise each time! What about outsourcing the whole shebang to someone who gets value from it rather than sees it as an admin burden at best? From a different perspective, it costs a utility roughly £50 to acquire a new customer for gas or electricity. Money that may go into advertising, marketing or fees to a comparison/switching company such as uSwitch. In the City this might almost be called an arbitrage opportunity. I spoke to three companies (AJR Management, Energy Angels, SSE) providing a "void energy management" to HAs, all of which provide switching or similar to acquire customers for themselves or others. In many cases (the vast majority in some geographic areas for one of the companies), the new tenants will stick with whatever utility is in place. So even if you do some legwork and provide a bit of juice for refurb works, that's a very cheap acquisition, if you happen to be a utility yourself. Accurately apportioning and recovering shared costs for the increasing numbers of leased properties HAs find themselves with (eg from internal common areas and utilities, to external grounds management) is not something that many housing associations (HAs) seem to have been pushing hard until the last round of cuts to their budgets. And that is money that the HAs have been leaving on the table for years, while private landlords are all over it! One firm here has been helping the latter for 40 years, but only about 2 years for HAs. I had an interesting discussion with Jaqueline of TreeWise about a potential Internet of Trees. How it could be useful to have cheap small occupancy sensing devices with some backhaul such as LoRa to unobtrusively measure footfall around particular specimens. TreeWise allows users to collect and manage their tree data and make informed choices for the most appropriate arboricultural actions to take. So, when it's not trees and energy voids, how does a landlord manage the rest of the assets that its properties represent? In house or out sourced for example? Keeping up with data and even adding more IoT-based sensing and control? There are plenty of companies out there to help with some or all of this. From helping you collect and manage the data to actually putting boots on the ground. I spoke to Asprey BI and Auditel at the show. In each case they aim to help you get more value from your assets while maybe concentrating on what has been known as 'core competencies'! Places for People had a stand at the exhibition to discuss its personal loans. One of our aims in the EGC: D17 Financial Research is to find robust ways of helping people afford to improve their heating. Maybe even at zero cost to them. OpenTRV targets a fast payback in terms of energy savings, and a low entry cost (a single valve). It was interesting to talk to Places for People about how close what we are aiming to do fits existing financial services such as PfP's. PfP's allowed loan duration covers the 6-to-24 month window that we expect to cover payback on equipment such as ours. Though interestingly the minimum loan amount is larger than we'd hope most people would have to spend. For financial products such as these, smaller loan amounts tend to show higher APRs reflecting fixed fee elements. It would be interesting to see if the nature of the expenditure, and/or somehow connecting repayment to the Green Deal mechanism without incurring its overheads, could gets costs down for the less well off by reducing PfP's costs and risks. Cardboard Citizens was at the exhibition with information on not only its straight-up theatre productions but also their staff training and events for housing associations. The "Forum Theatre" can be used to share stories and encourage genuine debate on problems and solutions, eg between the general public or HA staff and homeless in the same audience. Cardboard Citizens has its HQ not so very far from me, and I may go and see one of its productions soon. Both the work of Cardboard Citizens and End Furniture Poverty (see below) led me to talk to HACT about its social value bank and Social Return on Investment (SROI). If you can show that doing good also has a financial payback then you many find yourself pushing on an open door when you talk to social landlords and government about your project... For example there are visible benefits for health from improved home heating efficiency, saving the bill-payer and the NHS money. End Furniture Poverty asserts that only a tiny fraction of social lets are furnished. That places a huge burden on families who may then have to borrow to get a cooker, beds and the like. 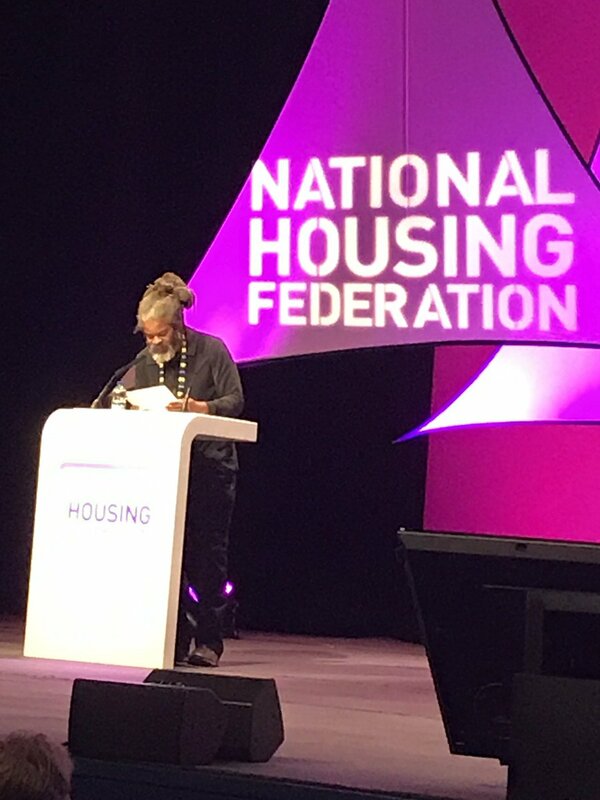 We discussed whether social landlords would have fewer rent arrears and other expensive problems (ie would get financial payback) if they provided the furnishings. That payback didn't seem to happen with improved heating efficiency, and it may be difficult to demonstrate for this, and thus would compete with other 'good' things that HAs should be doing on tightened budgets. It's not even obvious how to collect the right data to show one way or another. A difficult issue and one that some of us will have a sense of in milder forms from earlier days acquiring our first bits of furniture and pots and pans, eg as a student. I still have some of my precious and well-worn chattels. One crucial aspect of our EGC Customer Research is finding mechanisms that work to interact with tenants and occupants as and when needed and over an extended period. I'd like that to be no bling, no fuss and preferably no nagging. But we need to understand in what actually delivers! Active Housing software is licenced for use in over 150,000 properties. Tenants are using its "self-service" systems to report repairs that need doing, setting appointments, taking payments, etc. That makes its team 'experts' in this part of the interaction in my book! Active Housing staff at the stand explained how tenants are generally open and cooperative to ‘green initiatives’ which can be incorporated into online transactional activities. 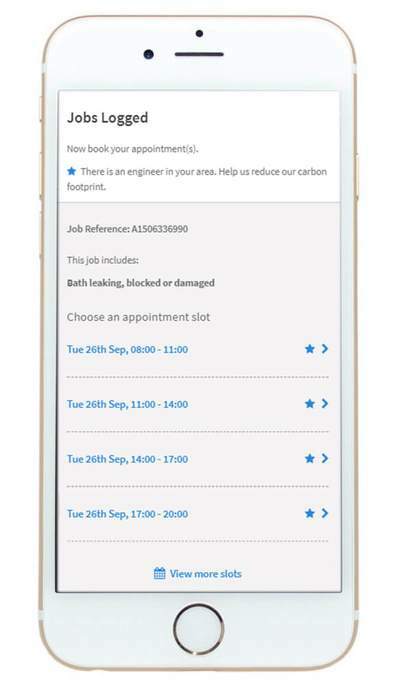 A great example is how their repair diagnostic system can predominantly display appointment slots which are most efficient, thus reducing the organisation’s carbon footprint. Nudging tenants in this way does increase the likelihood of these slots being selected by tenants. Their users don't want their time taken on spurious 'news' and 'features' on a self-service portal. They respond to positive feedback such as bronze through to gold ratings of their interactions. All good to know even if probably not astonishing to anyone who already does this well. Though Keysurf's home page talks of "broadband made simple" for students and key workers, its aspiration carries over to care homes and assisted living just as well. No one wants the hassle of getting Internet set up, long contracts, and fixing the problems that arise inevitably from time to time. We all want something that 'just works'. If Keysurf can help keep people in assisted living environments connected and happy then this feels to me like a public good, as well as good business. In what is maybe a typical 10-unit assisted living home there may only be one (analogue) land-line running from the premises, shared for phone calls in and out for residents. But also video doorbells and locks, and even outgoing calls from emergency dongles. Not good if you happen to fall just as the postman arrives and needs something signed for. Appello brings digital technology to this, for example avoiding the above conflict, and offering a backup GSM/mobile route out for emergency calls. Also their system allows unlimited room-to-room nattering, which seems to be a great benefit. 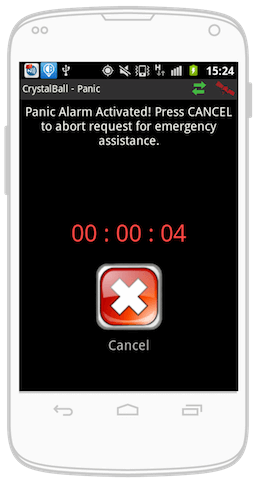 Plus once out of the analogue domain the system response is much snappier to things like that doorbell push. A genuine and significant incremental improvement to existing systems. Not bling in search of a problem! Conference/exhibition event information: "Annual Conference 2017 is all about helping you to take on the challenges our sector faces and bring our collective ambition and purpose to the fore." Active Housing (part of Hallnet): "Tenant Self Service & Digital Channel Shift - an award-winning service for social housing." 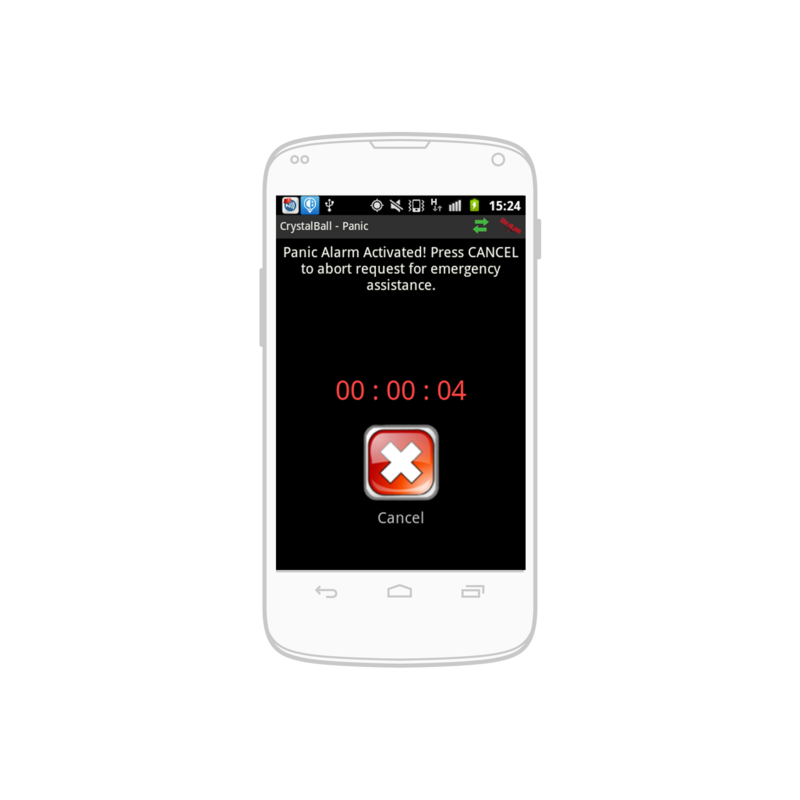 Screenshot of app c/o Active Housing. AJR Management: "total void utility management service." 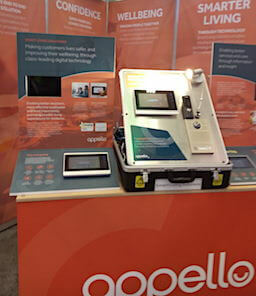 Appello Smart Living Solutions; stand display photo. "Appello's digital technology enabled care platform is the first end-to-end IP platform that connects people, devices, communications and support in the home." Asprey BI: "the dedicated business intelligence division of independent asset management provider, Asprey solutions." Auditel: "shaping the future of business performance." Beanbag "the intelligent way to control heating in the home, using an app-enabled wireless thermostat and heat control system" from 'Secure', a part of Horstmann. Capsticks: lawyers specialising in housing and health. Cardboard Citizens: "Cardboard Citizens has been making life-changing theatre with and for homeless people for 25 years." Photo c/o Cardboard Citzens of Cardboard Citizens Member, Richard Honeyghan, talking about the housing crisis and the generation gap. Data Protection Consulting offers audit, training and advice, for housing associations, property managers, ALMOs, etc. GDPR is coming 2018/05/18: are you ready? Eccella: "Harness data to accelerate your business growth and make better, more informed decisions, faster." Energy Angels: void energy management and tenant switching services. Photo of stand c/o Energy Angels. End Furniture Poverty: "a campaign dedicated to raising awareness and promoting practical solutions so that together, we can End Furniture Poverty." HACT: "the housing sectors ideas and innovation agency." HACT's social value bank. Places for People and its personal loan calculator. SSE: at the show to talk about void energy management amongst other things. Switchee: "A Smart Connected Thermostat Designed to help affordable housing providers fight fuel poverty." Tree Wise Solutions: "We are committed to providing long term and comprehensive solutions for tree owners and managers." First published 2017-09-19 , updated 2019-04-22 , rebuilt 2019-04-23 . Site copyright © 2007-2019 Damon Hart-Davis. Hosted by ExNet.